Performance: 2:00 p.m. followed by a free dance workshop at 3:15 p.m.
Pay-what-you-can at the door: First-come-first-seated. Iskwêwak Osihtâwak translates from Cree to ‘the women are making it’. 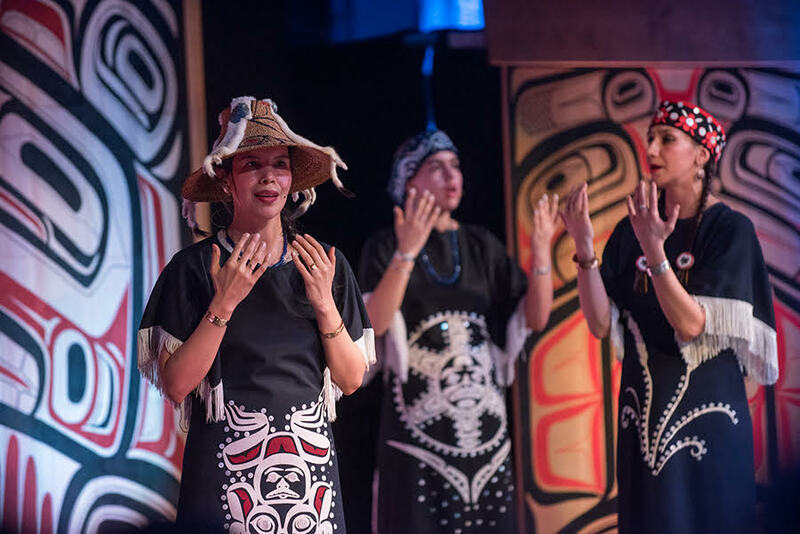 A mixed program featuring Indigenous dance practices shared by Salia Joseph, Jeanette Kotowich and Jessica McMann, with excerpts from Spirit and Tradition by the Dancers of Damelahamid. Salia Joseph is from the Sḵwx̱wú7mesh and Snuneymuxw First Nation’s on her father’s side and is British and Jewish on her mothers. In 2016 she graduated with a Bachelor of Arts degree in First Nations and Indigenous Studies from the University of British Columbia. 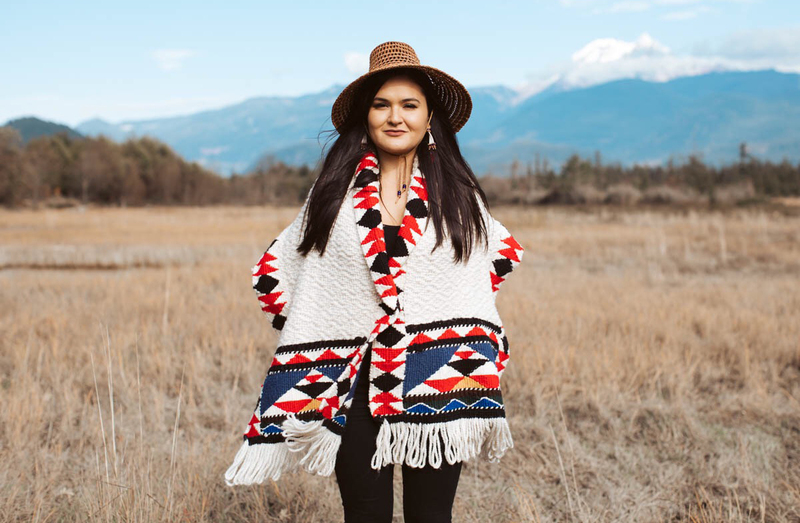 She recently graduated from a year-long, full-time immersion program in her language, Sḵwx̱wú7mesh Sníchim at Simon Fraser University. Salia sings in a band called An̓usáyum̓ (Two Berries) as well as a traditional Sḵwx̱wú7mesh dance/singing group called Ta Na Wa Káwstem. Salia works for Kwi Awt Stelmexw, a Sḵwx̱wú7mes language and culture non-profit and is a curatorial intern at the Bill Reid Art Gallery. Salia is committed to her continued learning journey of Salish wool weaving. Jeanette Kotowich is a Vancouver-based, mixed Cree Métis and European descent, professional dance artist and choreographer. Honouring her mixed heritage (originally from Treaty 4 territory) as a source of inspiration and reference point in her work, Jeanette is passionate about investigating a blend of contemporary and Indigenous practices. Jeanette holds her Bachelor of Fine Arts from Simon Fraser University. She is currently creating a full-length, innovative collaborative performance called Valley, co-directed with senior Maori artist, Charles Koroneho. She has created two works in the past: Eloise (2017), which has been presented by Raven Spirit Dance, New Dance Horizons, BV Concert Association, Native Earth, and Vancouver International Dance Festival, and Steppin’ (2015), which has toured to more than 25 stages across Canada, including BC, Ontario, Saskatchewan and the Yukon. Jeanette is a company dancer with Dancers of Damelahamid, Raven Spirit Dance, and V’ni Dansi, and coordinates the annual Coastal First Nations Dance Festival. She is a member of the Full Circle First Nations Performing Arts Ensemble, the Indigenous Performing Art Alliance, and founding board member/secretary for Savage Society. Jeanette has worked with Vancouver based dance artists Tara Cheyenne-Friedenberg, Su-Feh Lee, and Deanna Peters. 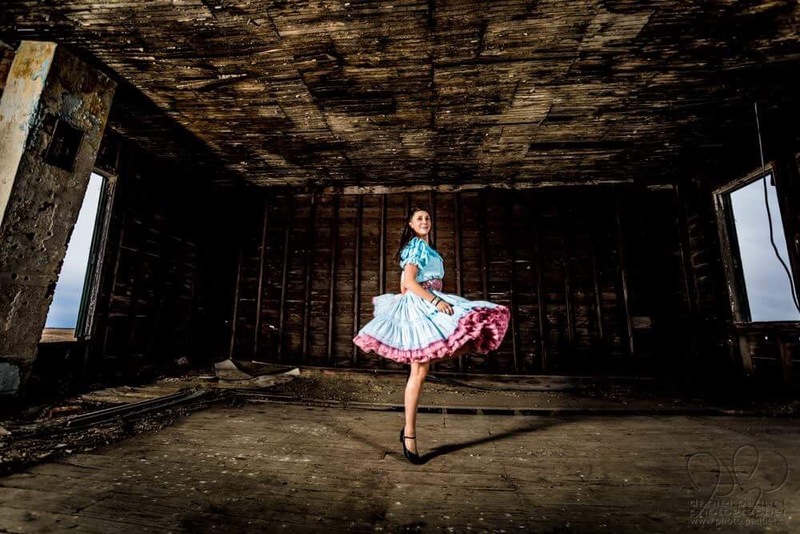 Jessica McMann is a Calgary based Cree musician, contemporary dancer and choreographer. She is also a classically trained flutist, with a Bachelor of Music from the University of Calgary. Her research focus has been contemporary music, jazz, and improvisation. She is currently pursuing her MFA in unceded Coast Salish territory. Her recent compositions and soundscapes explore Indigenous identity and history. She has been dancing fancy shawl and hoop dance for 18 years, and has had the opportunity to present contemporary and traditional work at festivals across Western Canada, and tour Northern Europe. Currently her personal experience, Cree and Blackfoot language, and the strength of Indigenous women guide her current contemporary dance work. Her recent artist-in-residence was with the Coastal Jazz Society, resulting in 10 new compositions performed at the Vancouver International Jazz Festival in June 2018. Her work has been shown at AlterNative: IndigiQueer (2017), IndigeDIV (2017), Talking Stick Festival (Vancouver 2012, 2013) Kootenay Cultural Festival (2012, 2015, 2016) Fairy Tales Film Festival (2012), ASTAM; Cree Festival (2012), Coastal First Nations Dance Festival (2011,2012, 2014, 2017, 2018) Vancouver Queer Film Festival (2011), Q the Arts Festival (2011), 7a*11d (2010). Her most recent large work was shown at the Urban Shaman Gallery in Winnipeg as part of “The 60’s Scoop; A place between”. Dancers of Damelahamid are an Indigenous dance company from the Northwest Coast of British Columbia, Canada. The company is founded upon more than five decades of extensive work of song restoration. Their rich history of masked dance inspires a compelling performance, celebrating the diversity and time depth of our many beautiful Indigenous cultures across Canada. 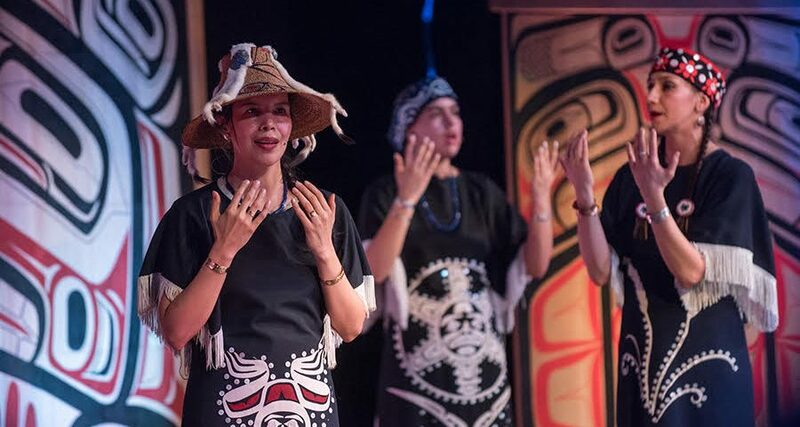 The company has produced the annual Coastal First Nations Dance Festival since 2008. Their full-length works include Setting the Path (2004), Sharing the Spirit (2007) and Visitors Who Never Left (2009). Newly created works include Spirit and Tradition (2010), Spirit Transforming (2012), In Abundance (2014) and Flicker (2016). In Spirit and Tradition Dancers of Damelahamid bring to the stage the treasures of their heritage. Through dramatic dance, captivating narrative, intricately carved masks and elaborate regalia the Dancers of Damelahamid transform time and space and bridge the ancient with a living tradition. Spirit and Tradition was commissioned by Centennial Theatre (2010), was presented at All Over the Map (2011, 2012), Talking Stick Festival (2012, 2013), and Spirit Within Festival (2012, 2013) in Vancouver and Whistler, BC. Spirit and Tradition toured to the 2010 World Expo in Shanghai, China, as well as to Erfurt, Germany (2010), and was presented at the International Festival de Danzas, Cusco, Peru (2011) and the V11 Festival internacional de danza folklorica, Ambato, Ecuador (2014) and the 2015 Pan American Games in Toronto, Ontario. Photo credits: Salia Joseph by Priscilla Ann Cannon. Jeanette Kotowich by Daniel Paquet. Jessica McMann by Tet M Photography and Dancers of Damelahamid by Chris Randle.